Letters From A Tapehead: Godflesh: "Imperator"
Last month, I posted "New Dark Ages" from A World Lit Only By Fire, the upcoming new LP from industrial metal pioneers, Godflesh. Today, another track from the album surfaced called, "Imperator." I think a listen is in order. Check below. A World Lit Only By Fire will be out October 6th. You can check out information on the release below, which was provided courtesy of Rarely Unable. 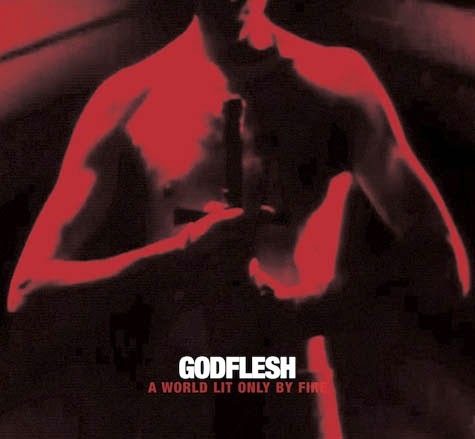 Godflesh have released a new track off their upcoming full-length A World Lit Only By Fire to be released on October 6th via Avalanche Recordings. Titled after the ancient Roman translation for commander, "Imperator" is a tempestuous and tyrannical spew of industrial sounds, battered out by down-tuned eight-string guitar, scuzzed-up bass-lines and rapid-fire double pedal kicks, all driven forward at a marching pace by the soaring vocal of Justin Broadrick. Whilst this evocative, visceral track encompasses Godflesh's heavy industrial roots to-the-core, it also reveals a more melodic side to the brand new album, especially compared to the previously unleashed New Dark Ages, giving fans a broad sense of what they can expect. FACT magazine who premiered the track commented..."Crawling jackhammer noise in a similar vein to classic Godflesh albums like Streetcleaner, long-term fans of the group will find a lot to love about the record." Industrial metal innovators Godflesh are releasing their highly anticipated full length A World Lit Only By Fire on their own Avalanche Recordings label. The album arrives on the heels of June’s Decline And Fall EP, which was met with widespread acclaim for its effortless synthesis of the duo’s fan-favoured early albums, themselves groundbreaking genre experiments that pioneered an integration of electronic music’s bombastic rhythms, metal’s bludgeoning force, and post punk’s aural atmospherics. Whereas the new EP succeeded by fulfilling listener expectations, the full length exceeds them; delivering a full force exploration of the furthest boundaries of Godflesh’s extreme sonics, and then pushing beyond them, detailing the rich musical experience accrued in the dozen year span and countless musical projects (Jesu, Final, Vitriol, Greymachine, Techno Animal, etc.) between recordings.